A few years ago, Minneapolis’ City Council finally released a new law that, in one way or another (I’d go into all the political details and annoyances, but really I don’t care, and it’s not what I’m here for anyways) allowed the establishment of a Food Truck Culture to begin within these great cities. Though a tad slow at first, those who work downtown and walk the streets will no doubt agree that these trucks have exploded within their tenure, giving way to a huge (for the brief period of time) fan base, entrepreneurs, fairs and events revolved just around them (well, for others advertisement, but really who cares about the sponsors?). Not to mention a plethora of amazing new foods. 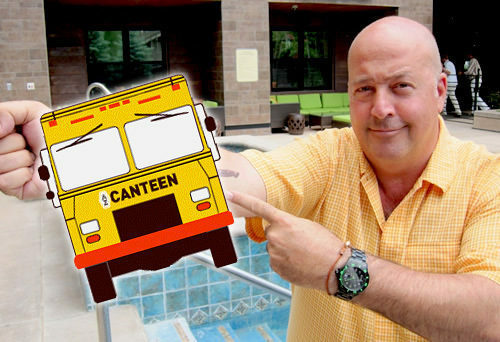 As with the many, I myself quickly found a new devotion and fascination for this exciting new endeavor, spurred on by my interest in local MN chef Andrew Zimmern and his philosophies around street food as an indication of a city’s Food Culture Scene (if you’re unaware, watch Bizarre Foods, the guy is awesome). The web pages in finding these appeared at the same rate as the trucks; slow at first, but with a quick influx of data after a year. Finding became much easier, links to websites and twitter more available, and the ultimate accessibility wider for those new to the idea and/or far from the Twin Cities. However, no matter where I went, despite over three years of the movement, whenever I look for more than just the location on a truck all I would find is the same thing: Basic, basic, basic basicbasicbasic descriptions, summaries, brief notes on what that food truck actually does, and a redirection to the Trucks’ website. There’s nothing that helps you DECIDE, nothing that really compares any aspect of one truck to another, no real details, no real information on anything besides the food made. Even then no accounts of how it truly tastes to other food. The best one can get is the random article on a newspaper blog by someone who’s actually gone down there. When it comes right down to it, there’s nothing to tell you WHAT’S BETTER; what Food Truck is better for YOU when you have only 15 minutes for lunch and there are 10 trucks lining the street and you have never been to any of them. Picking a random truck can be a fun, but really do we not want to know which truck will satisfy our cravings while giving the best bang for our buck (not to mention get you in and out of the line in time to get back to the office and laugh at Dave’s new tie before he leaves)? That’s why I’ve decided to finally put my thoughts into action and make this blog. Every week I shall be posting information on the New Food Trucks (not to mention filling my time before then to update on all the many so far) along with a detailed rating system on the True Essences of Food Trucks to help you differentiate on the individual points that matter the most to YOU. I have outlined this rating system HERE. If I ever post a rating or review that you think is unfair or disagree with, then do me a favor: TELL ME!! Many of these reports I’m about to write are based off visits that happened one, two, maybe even only three years ago, often soon after the truck opened. If they have improved (or de-proved… okay probably not a word, but I’m using it) and become even better since then, I want to know! I will gladly go back and sample them again to update the post (you know, despite how hard and difficult it is for me to convince myself to eat good food…. Oh the horror the horror…); what I want to make is something ACCURATE that people can use. That said, if you know of any other food trucks I haven’t posted of yet and want me to try, do please tell of that as well. I will be doing my best to post as many and as up to date information I can, as well as reporting on any local (or non-local for interesting fun) Food Truck events that I find out about. The adventure is finally starting for me, and I can’t wait to share it with you all. Great idea! Coming from Columbus, OH we had http://streeteatscolumbus.com/ and http://streeteatscolumbus.com/taco-trucks-columbus/ as references. 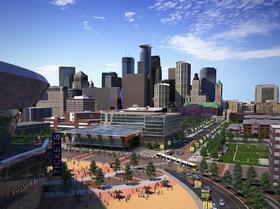 Minneapolis needed a website like this! We’re slowly working on a 2nd blog that focuses entirely on ethnic food ( http://ethniceatstc.wordpress.com/ ) which is modeled after another Columbus, OH blog! Thanks for sharing! Can’t believe I haven’t replied to this comment yet, what the heck is wrong with me? Know I mentioned something on one of your pages, but I still want to express appreciation directly, so thank you very much for the comment! I hope I can live up to the praise and expectation of my idea! Still waiting for the Warm season so I can go out reviewing again, but until then I wish you luck on your second project! Hi Andrew – Great blog. If you’re interested, I’d love to interview you for my own food truck podcast called FoodTruckEmpire.com. We can talk about the “scene” here in the Twin Cities and what makes a great truck in your opinion. If you’re interested shoot me an email at: support@foodtruckempire.com. Hope to hear from you! I have a website that focuses on the food truck industry, primarily with a free classified ad and business directory area. We also have a section of our directory for bloggers/website owners just like you. I wanted to invite you to add your blog to our directory so that hopefully we could send some traffic your way. When you add your listing you can include a link to your website, facebook and twitter pages, etc. Please take a look and consider joining our directory. It is absolutely free. No catches. Why, thank you very much for the invitation! I appreciate hearing and seeing all that you’re doing on this new site and would love the opportunity to add my name among the throngs (that’s a word right?). Good luck in all your pursuits on there, hopefully we can chat sometime about street food and various things. Definitely! Looking forward to it. Hello! 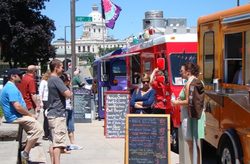 Love the blog Andrew, my name is Peter Nixon and I’m a graduate student at the University of Minnesota researching food systems with a focus on food trucks. 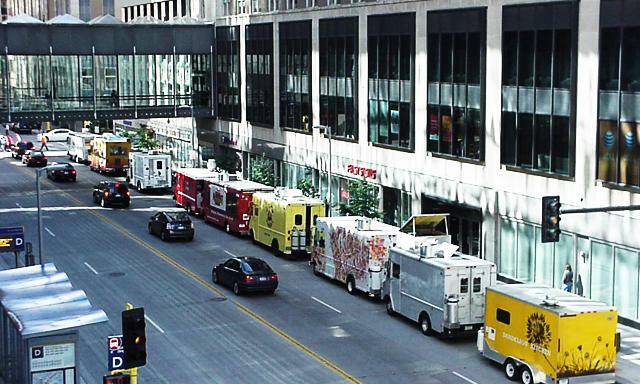 I would love to take you out to lunch or dinner and discuss the food trucks of Minneapolis. Hey Peter! I sent you an email reply, but just in case thought I’d respond here too. I would absolutely love the chance to sit down and discuss our food trucks with you over lunch, perhaps at one of our trucks 😉 haha. I’m usually free for lunch, with some restrictions depending, everyday but Saturday.